Let’s stop the sippy cup madness! 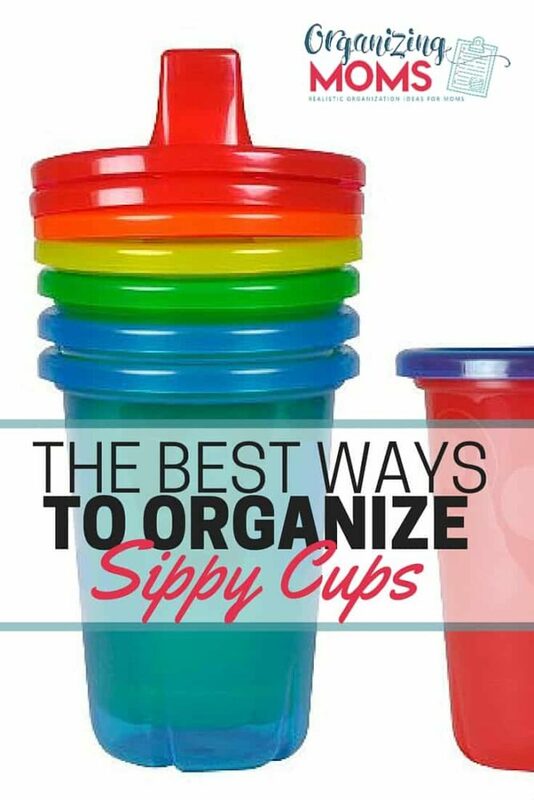 Today we’re talking about how to organize sippy cups so they’re not taking over your kitchen as part of our how to organize your home series. 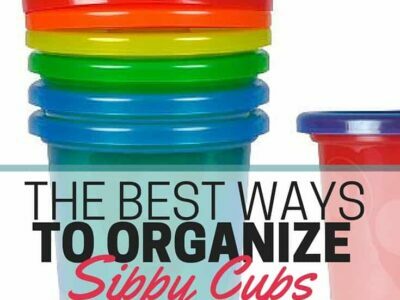 You’ll see several great ideas for organizing the sippy cups you have, plus I’ll share the system that finally worked for us. Assess what you have. Sometimes you just don’t know how many sippy cups you’ve got until they’re all out on the counter. Gather them all up and see what you’ve got. Get rid of the sippy cups that don’t work for you. Whether they’re broken or just flat-out refused by your kids, you’ve got to get rid of the stuff you’re not using. It will free up storage space, and you won’t have to dig around it when you’re trying to find the sippy cup parts you need. 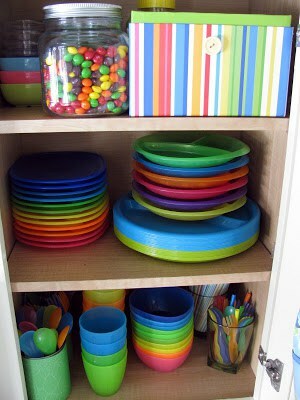 Oh, the joy of organizing all of those little plastic lids, valves, straws, and cups! 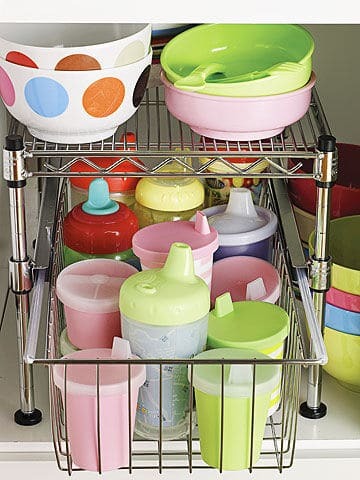 There are so many great sippy cup organization ideas to choose from. 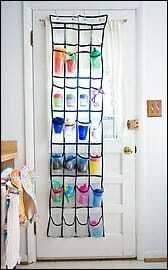 If you have different-sized sippy cups, This sippy cup organization project can help you corral them all into one space by using an over-the-door shoe organizer. An added benefit – it doesn’t take up cabinet or counter space! From Apartment Therapy. Have lots of parts? 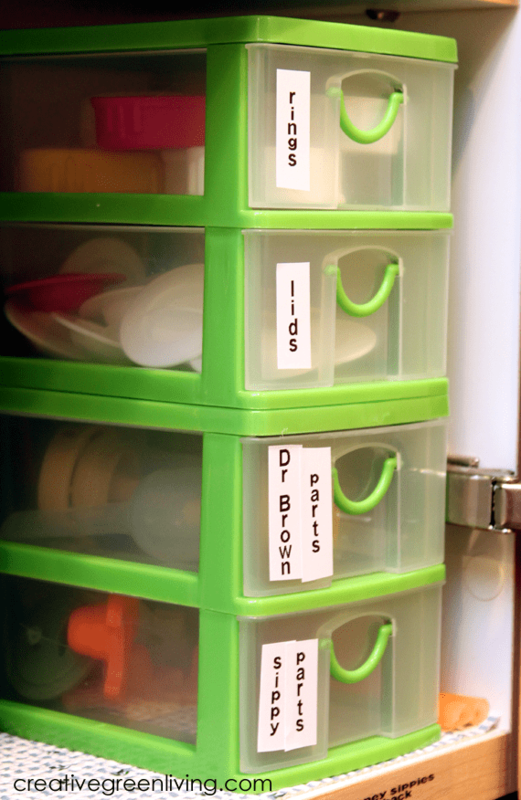 This sippy cup organization project organizes them all with a drawer storage organizer. From Creative Green Living. Isn’t this drawer/shelf combination cool? It’s a great way to This sippy cup organization project. From Parents.com. This sippy cup organization project is what inspired me to change up our sippy cup supplies, which I’ll write about below. From IHeartOrganizing. “Disposable” Sippy Cups You Can Use Over and Over Again. Yay!! We went through several months of trying to keep track of random sippy cups before we bought these. Although they might not work if your child tends to try to take the top off of his/her sippy cups, they worked like a charm for our twin boys. The cups are actually stackable. This saves a ton of space. They come with a little cover thing for the sippy spout, so you can put them in your diaper bag and not have to worry about it leaking (although I’d be paranoid about it and still put it in a plastic bag). They are interchangeable with the sippy cups that come with straws. They are SUPER cheap. If you destroy one, it’s not a big deal. They get clean in the dishwasher – hand-washing is not necessary. If you find one of these sippy cups under your child’s bed and it has week-old milk in it, you can just throw it away. And that’s a wonderful thing. We stored all of our kiddo feeding supplies in one huge drawer, and when the boys grew up, they were able to help us by getting their own cups and bowls.